As ATPL Integrated course start date is fast approaching we need to take time to talk about the assessment that every Ab Initio School applicant must take. The assessment is a determinant whether an applicant is fit for studies and pilot profession. COMPASS test has been developed in the Netherlands by the experienced aviation professionals who performed thousands of selections before developing the universal tool used by numerous Ab Initio Schools today. COMPASS is a computerized pilot aptitude screening system that provides reliable, objective, and scientifically proven screening for Ab Initio and type rating schools. 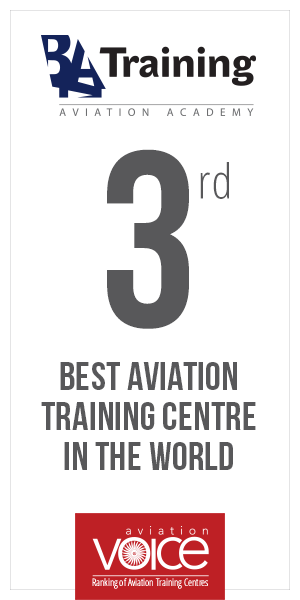 Test is particularly useful and unbiased tool to use for the selection, as every applicant gets the same opportunity: the conditions, time for the assessment, questions, and requirements are the same for every single applicant; therefore the opportunity to show the best results and enter the aviation academy is also equal. Aptitude – what is it and why is it important? COMPASS test for Ab Initio schools consists of a number of modules that focus on one very particular thing – aptitude. So what is that aptitude? According to Dictionary.com, aptitude is the capability for something, talent, intelligence, quickness of learning, and special fitness for something. In other words, it contains a lot of information in it, and requires even more out of the applicants. No wonder it is nerve wrecking to take such a test and this is exactly why every applicant should evaluate his or hers abilities, capabilities and dedication before even planning for such a test. COMPASS modules include: hand-eye-foot coordination, eye-hand coordination, spatial orientation, multi-task management, mental calculations, short term memory, and tech-test. Some Ab Initio Schools might use one more or one less module to test the applicants. The time given to complete the test is usually between 90 minutes and 2 hours. Hand-eye-foot coordination – in this assessment applicant must use joystick and pedals in order to keep the two indicators on the screen in the designated places. Eye-hand coordination or also known as slalom test applicant must use joystick in order to control an aircraft on the screen and guide it between the markers on both sides. The more accurate is the guidance, the higher the score for the test is. Spatial orientation test requires applicant by using the readings of three aircraft instruments to identify the aircraft symbol to which the instrument reading relates. Multi-task management tests applicants’ ability to see the emergency indicators and click the corresponding button on the number lock as quickly as possible. This tests the capability to see the full screen, recognize the emergency indicator, and determine the button which corresponds with the emergency light and quickly eliminate it. Mental calculations or also called mental arithmetic, or simply, mathematics module tests applicants’ ability to quickly and accurately make mathematical calculations in their heads, provide correct answers and move through as many questions as possible. Short term memory obviously tests short term memory by giving the applicant to memorize various new aircraft parameters data and asks to retype it in the field below. Tech test asks a set of logical, physics based questions to determine the level of physics knowledge. The best part about the test is that the results are provided immediately and there is no other human involvement, except for the applicant and the computer. This evaluates any disputes and discussions about the results, because every Ab Initio School must have certain entrance standards and if the applicant does not meet them, there is no other choice but to eliminate them. Just like for any school exam, applicant can also prepare for the COMPASS test. However, there is no secret that for some people spatial, eye-hand coordination, or math skills are natural, but it doesn’t mean that such skills cannot be worked on and developed. First of all, tackling the orientation and coordination parts is important. The applicant should spend sufficient time before the exam performing computer tasks that involve joystick and pedals. By doing these tasks often and repeatedly applicant should develop skills that are sufficient enough to perform well on the exam. Next up, applicant should review and be comfortable reading and understanding the basic aircraft instruments, like altitude, speed, radar, compass, artificial horizon, heading, and radio frequency. All these abilities will not only help to perform well on the spatial orientation part, but be the first good set of knowledge when starting the ATPL course. Another important part is to train short memory skills by playing various games that requires quickly recalling certain images or patterns on the screen or keyboard. For this part, applicant should have a good knowledge of a keyboard, especially the letter and number locations on it. Practicing to solve quick math problems is also a must, because timed 15 minute math test will cover speed, time, distance, ratios, quantity, and interpretation of tables and graphs. This is not an easy part if math is not applicant’s stronger side, therefore, practicing to make quick solutions for problems like that is essential. Preparation process is not easy, but the right dedication, sufficient time, and desire to achieve one of the greatest things and conquer the “big dragon” are good driving forces for studies. This entire assessment is challenging, however, for those who have been born to become pilots, this is only a test they must pass in order to get closer to their dream. In order to help those who wish to take the COMPASS test and check their skills, competencies and capabilities to become a pilot, until the end of June, Baltic Aviation Academy is running a special offer and gives potential students a chance to take “free assessment”! So contact us in the upcoming week, mention “free assessment” and you will get a chance to take the test!